One of the best ways to improve your overall health and wellness is to eat real, whole food. Dr. Weisel advises all of his patients to get their essential nutrients from fresh, unprocessed food. That generally means eat food that does not have label or come out of a box, i.e. from a factory. 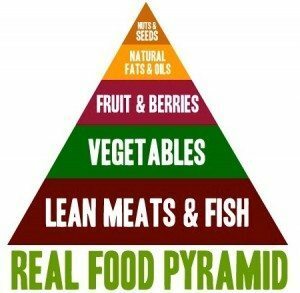 Instead, eat real foods found in nature: lean meats & fish, vegetables, fruits & berries, natural fats & oils, nuts, and seeds. If possible, eat foods with fewer carbohydrates and as little added sugar and synthetic substitutes as possible. Another good way to improve your diet is to not eat the same food two days in a row. It is easy to get into the rut of taking a healthy food — for example, oatmeal for breakfast — and eating it everyday. That is not good because your body needs a variety of nutrients for sustained health and wellness. No one food can give your body everything it needs, so make it a point to eat different foods each day. This applies especially to protein foods like meat, pork, and poultry. Select a variety of protein foods to improve nutrient intake and health benefits, including at least 8 ounces of cooked seafood per week. Fruits and vegetables are the richest, most bountiful sources of vitamins and minerals as well as fiber compared to other food we eat. They contain hundreds of thousands of phytochemicals, and many of these contain disease-fighting properties that a laboratory can’t duplicate. Most of us suffer from a daily fruit and vegetable consumption gap. Be intentional about eating more fruits and vegetables. Eating more fruits & vegetables takes planning, and can cost a lot of money. Rich in vitamins and antioxidants, Juice Plus+ products can help you fill the daily fruit and vegetable gap your diet. CLICK HERE for more information on Juice Plus+!